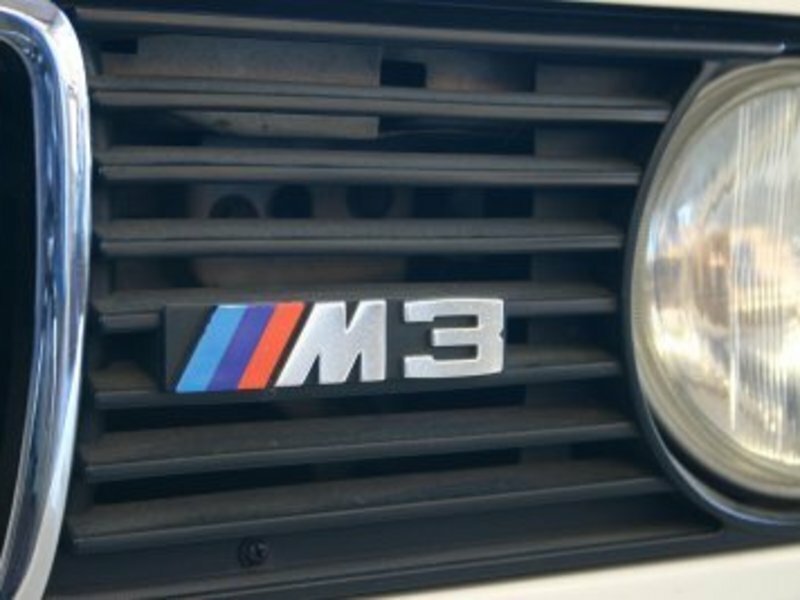 Front M3 emblem with M stripes. 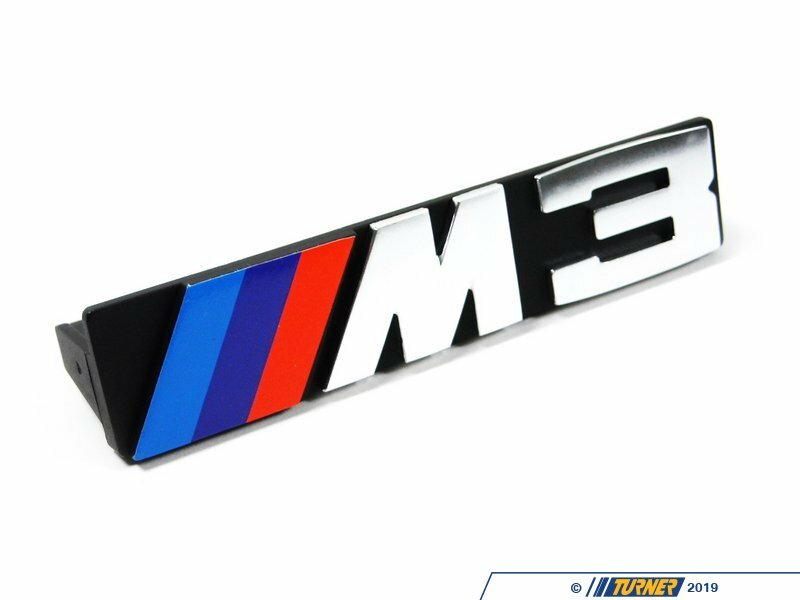 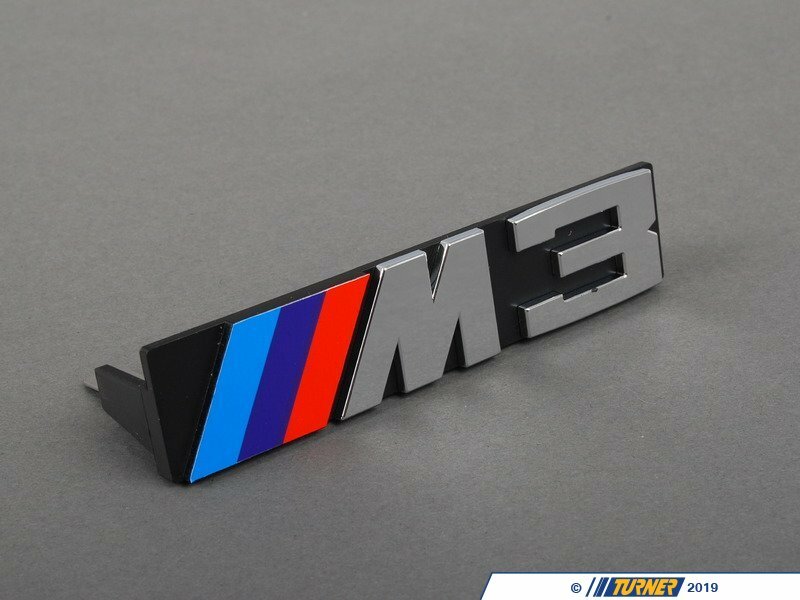 This M3 badge fits in the grille between the center kidney grills and the driver's side high beam headlight. 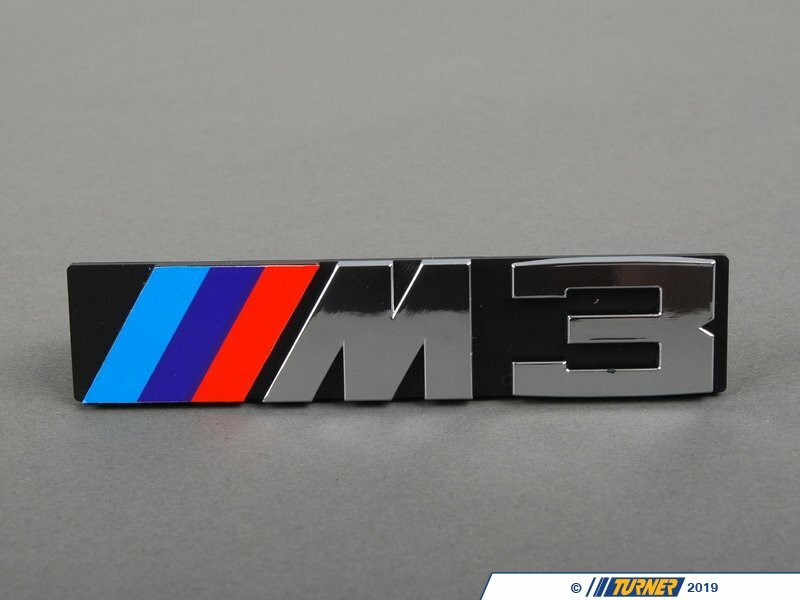 If your emblem is faded, damaged, or missing, now's the time for a fresh one. 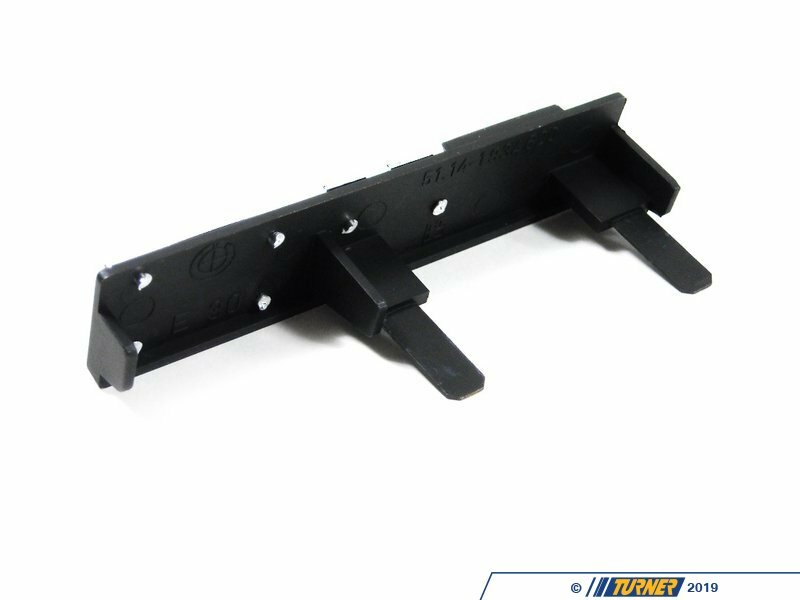 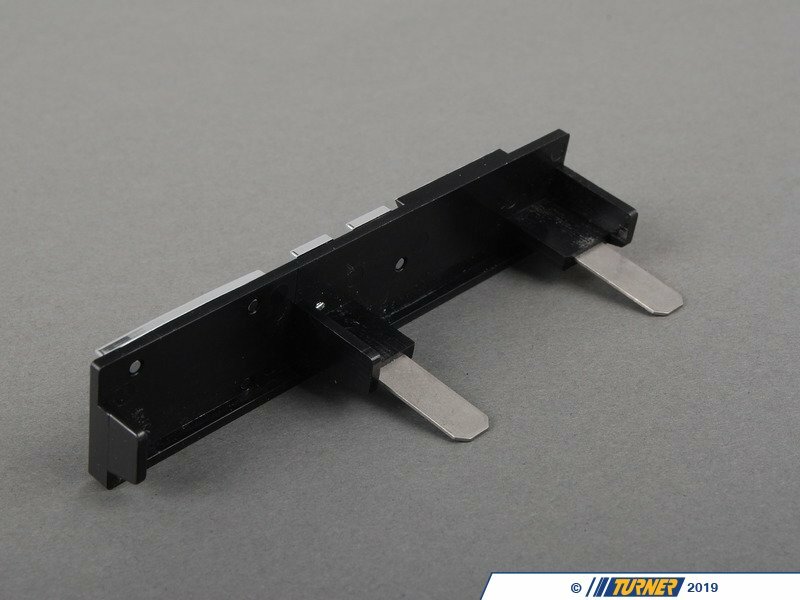 Fits E30 horizontal grill only.